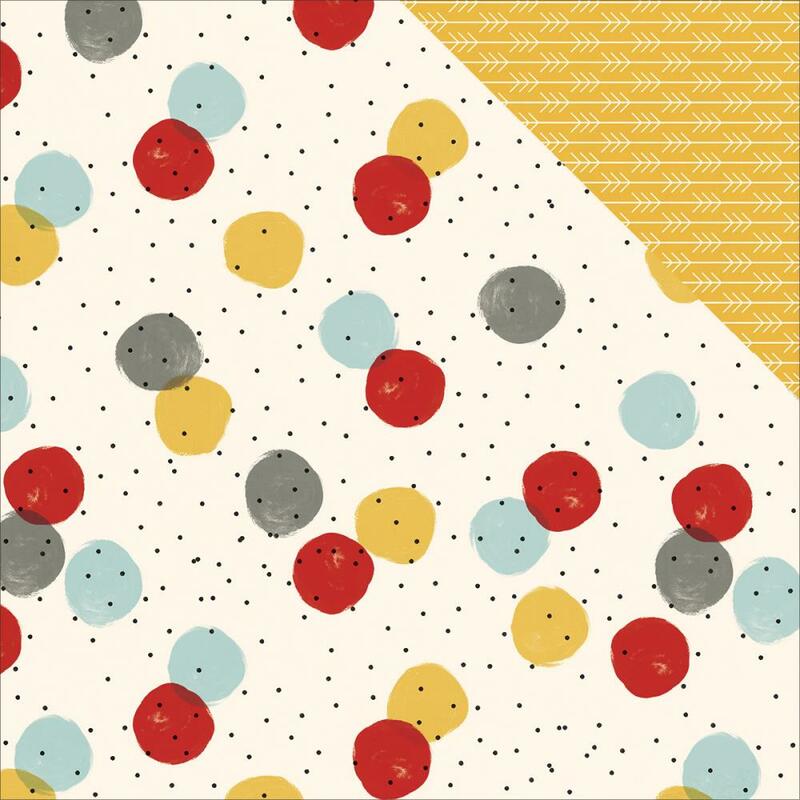 This 12x12 double sided paper has Large Magical Dots with Mini Scattered Dots on the frontside. The reverse side has an Arrow Pattern on a Golden Background. Look for coordinating Designer Papers, 6"x8" Paper Pad, Sticker Sheet, Journal Book, Decorative Brads & Clips, Bits & Pieces, Page Flags and Clear Stickers. Part of the Say Cheese III Collection by Simple Stories.